One of the tough things about training through winter is always the lack of daylight, especially for those who like to spend their time outdoors. The nights draw in and you find yourself leaving the office in darkness. Often it seems like even more effort to pull on your running shoes and hit the streets. At the SportPursuit London HQ we decided it was time to reclaim our evening running from the oncoming winter. Never mind the cold and the dark, we wanted to pound the pavements and discover a new aspect to our favourite local routes. We joined forces with Hoka One One, whose new Fly at Night collection is specifically designed for night-running, and compression specialists Skins. 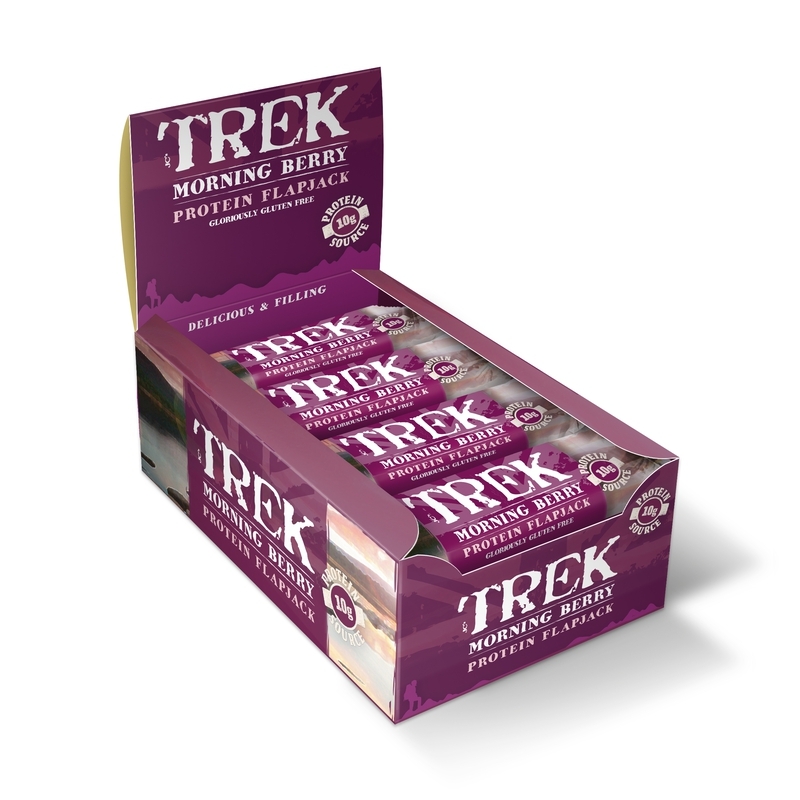 Since we were clocking up the miles after a long day in the office a bit of extra fuel from Nakd and Trek was a welcome addition. Our night-running setup with Hoka Fly at Night shoes, Skins Starlight compression leggings, and much-needed fuel from Trek and Nakd. Joining us for a post-work loop, Hoka athlete Sarah Astin explained the features of the new Fly at Night versions of their popular Cavu and Mach shoes. 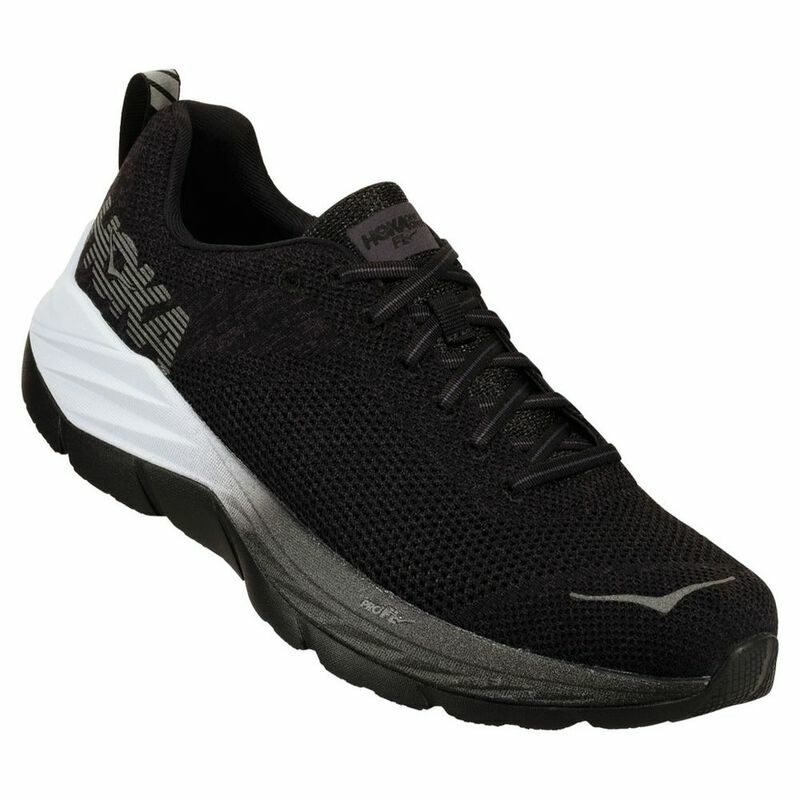 These models retain the characteristic Hoka Difference but with new reflective detailing on logos, heel tabs and midsoles to keep you visible. 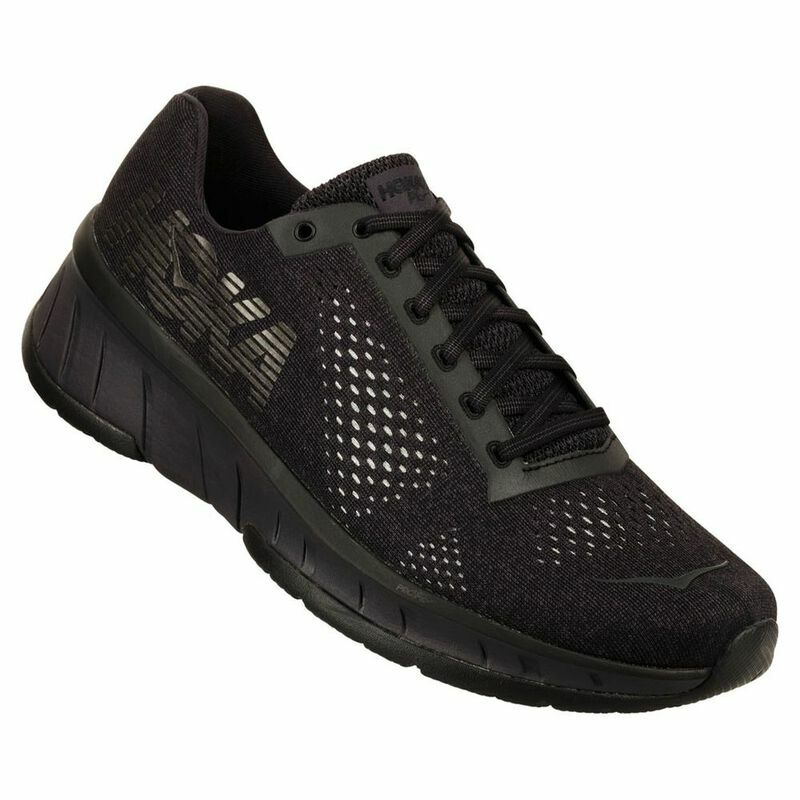 The Cavu was a star of the night with a subtle style you could easily pair with jeans during the workday and a lightweight frame suitable for training as well as regular runs; in Sarah’s words, “perfect for those who run but don’t just run”. For a shoe more focused on the miles the Mach will get you moving quickly while maintaining great levels of comfort and cushioning. 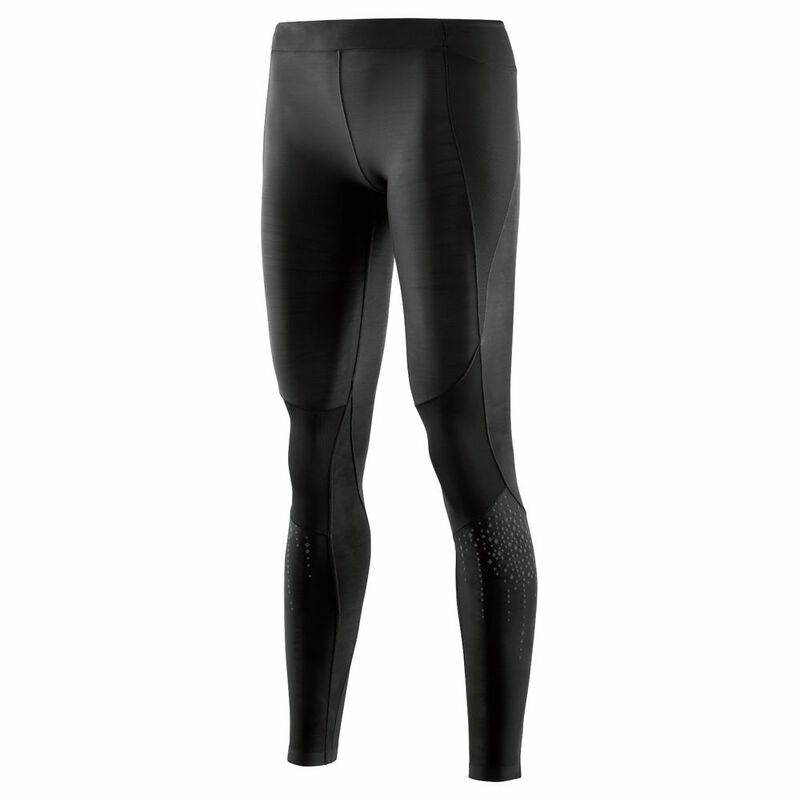 Visibility is key with night-running, especially in urban areas traffic and lots of other road users, so we opted for the A400 Starlight running tights from Skins with their added reflective details. 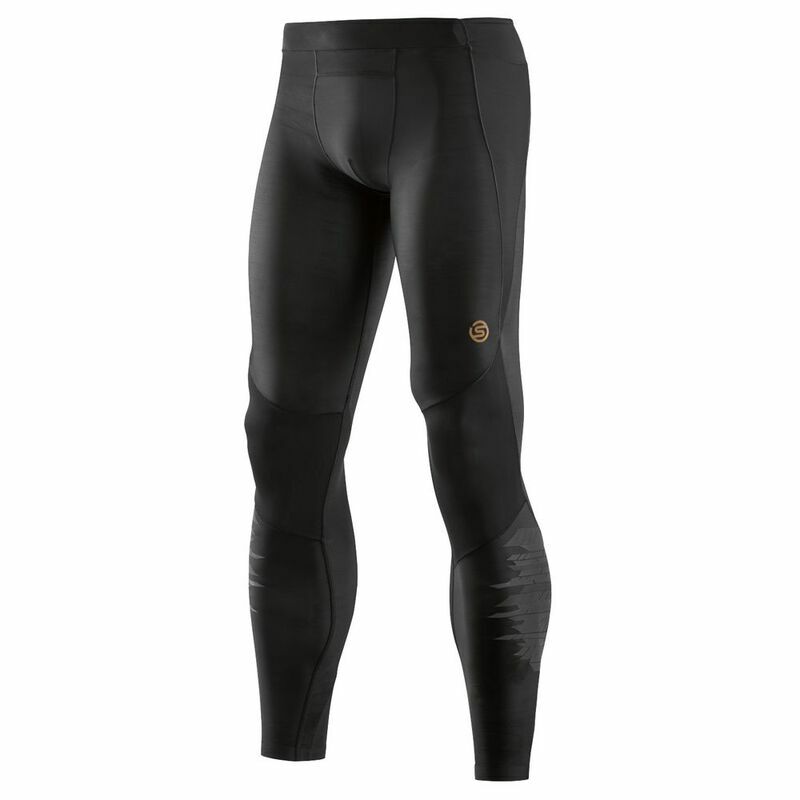 Runners not familiar with compression may notice benefits from the smart design of Skins that uses biomechanically position panels to provide extra support where you need it – perfect after a long day at work. We loved exploring the area around SportPursuit HQ in the crisp night air, taking in urban streets and quiet parks. Try it yourself on your favourite loop and you might discover a wonderful new aspect to the route. 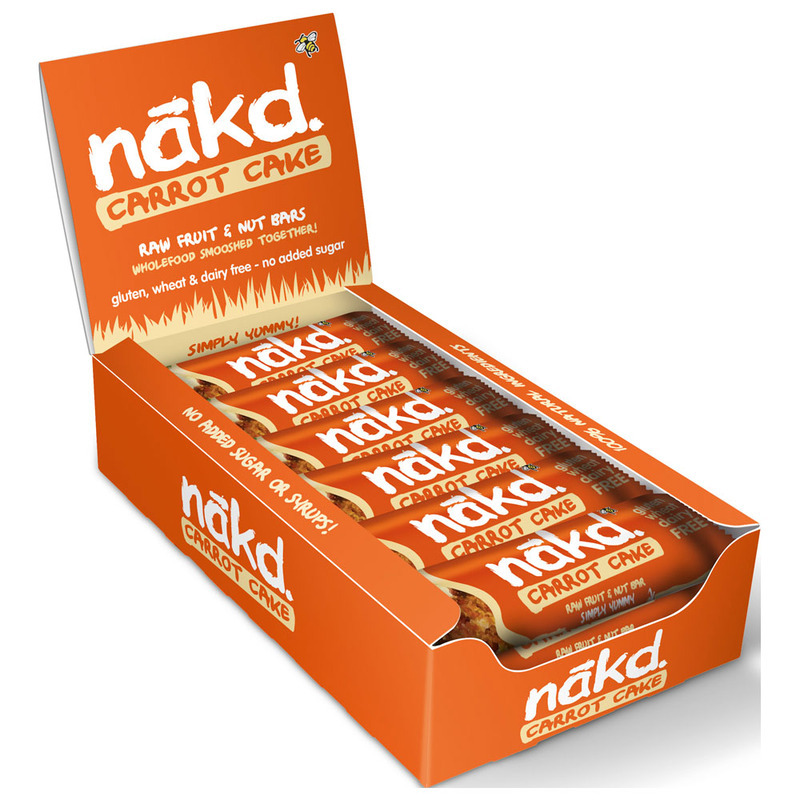 With thanks to Hoka One One, Skins, Nakd and Trek for their support.